A conference call service is typically used for organizational meetings involving two or more participants calling in from various locations. The host would set up the call and an invitation is sent to each participant so they can dial in with no hassle. This is done through the host’s conferencing system or provider. But before using conference calling for your business, you should make sure your conference calling platform is secure. There are certain features that you should keep an eye out for when working with a conferencing provider – do they ensure the privacy of all participants in the call? 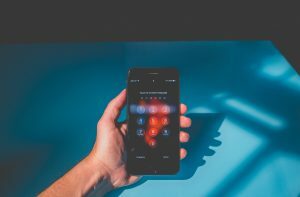 Call Encryption – Encryption continues to be among the most effective security protocols for conference calling systems. This is the process of changing the structure of transmitted data. This is done as the data is sent over the communication platform that’s used by all participants. This technology ensures that only verified recipients can understand the data. If unverified users try to access the conference call network, then the data won’t make any sense to them. Although some de-encryption tools are continuously being developed and improved for this malicious purpose, technologies to spot and prevent them are also constantly updated and deployed across secure conference call platforms. This is why you should verify if your conference provider uses current industry standard encryption features. More User Control – Many conferencing providers are giving users a wider set of controls. For example, secure conferencing systems allow the user to set their own dedicated moderator, invite and kick out certain participants, report any user to the moderator and so on. This is an effective security measure. This prevents unverified users to access the network without being invited by legitimate participants. And even if an attacker manages to infiltrate the network, any participant can report any suspicious activity to the moderator. They can even kick the fraudulent person out, with quick consent from the moderator. Green Room or Breakout Room – Secure conferencing providers now incorporate a classroom-like attendance feature into their systems. Before call participants can access the live network, they are first directed to a “Green Room”. This is where their identities are confirmed. Upon successful authentication, they are sent to the live call. This ensures that each participant is really who they ought to be. Individual Passkeys – Conference call hosts or moderators create passwords for each verified participant. These are kept secret and securely distributed. But many businesses frequently require large numbers of participants in one conference call session. And this increases the likelihood of the password getting leaked. Individual passkeys can significantly reduce this risk. These are given to each participant. Each of these is unique. So even if one user unintentionally leaks his or her passkey, then others won’t be affected. Call Lock – Most attackers wait for a conference call to start before trying to hack into the network. And that’s why many secure conference call providers use a call lock feature. This is to prevent unverified users from accessing the conference call. This basically locks the call upon moderator request. Nobody can join the call, unless the moderator lifts the call lock. This ensures that only verified participants are in the conference call.